Spring Of Health: Let's Paint! What a great and fun pastime is to paint. 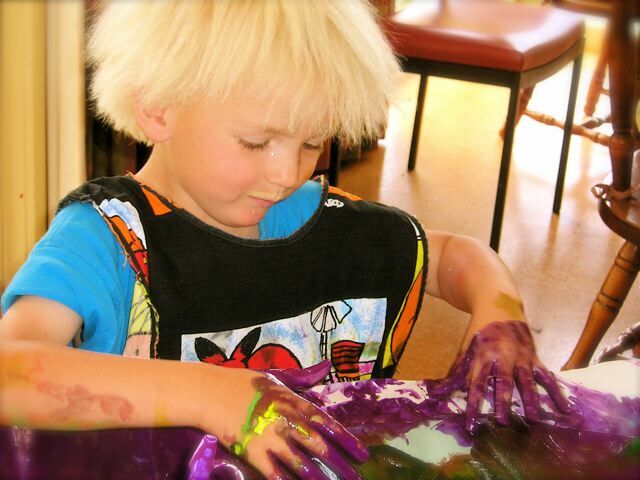 Moreover it is when the whole family - adults and kids - can do it together and even everything and of course everyone will get messy and very colourful, it is such fun! 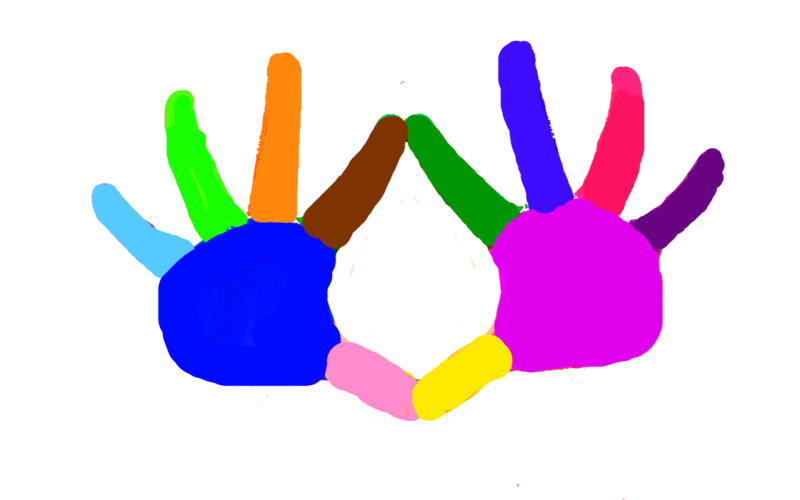 To have an easy heart over painting with kids, let us share a good, home made recipe to make colourful fingerpaints that are suitable for kids. Mix the flour with the cold water. Stir it well. After, you dose the hot water little by little, and keep stirring the mixture, until it becomes quite creamy. Then sort the mixture into jars or other small containers that has a top to close it with. Now you may add the colouring, depending on what colour you would like. Add more or less of them, depending on if you need a light or darker colour. Stir it well. Note: On any case it would not become homogeneous after you stirred the dye in, try to hint more starch into it. Tip: If you would like to make the artwork more permanent - and prevent a possible ant-attack on it - take it out to the open air and after it dried, apply varnish on it.